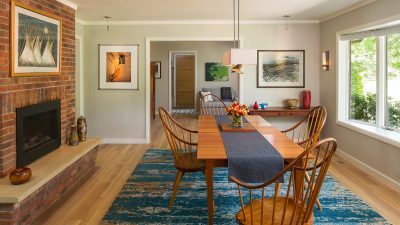 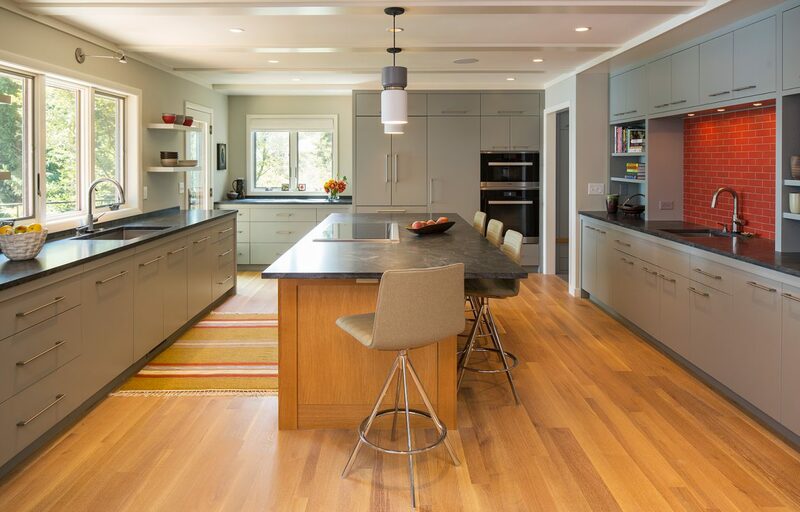 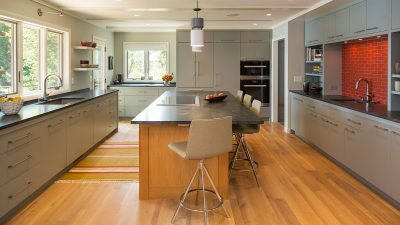 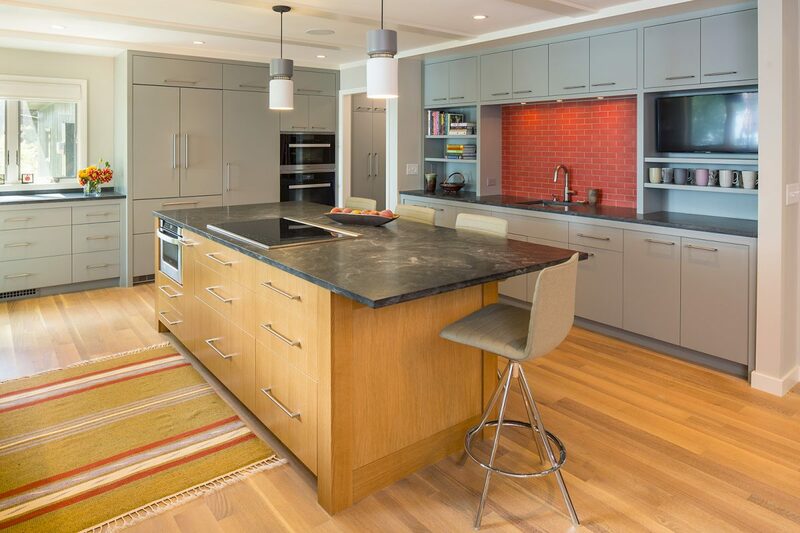 This project started with design schemes for a new house on the adjacent property, and ultimately ended with a renovation of the homeowner’s existing midcentury rambler. 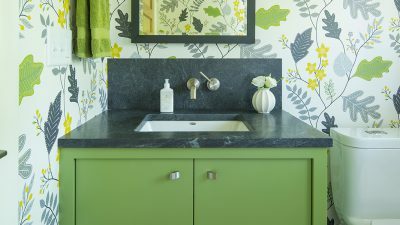 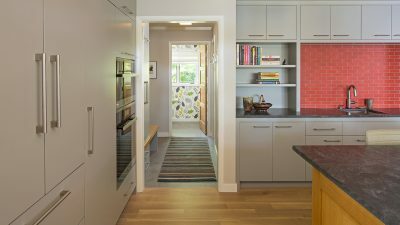 Early pricing studies revealed that renovating would give them everything they wanted, and at a significant cost savings. 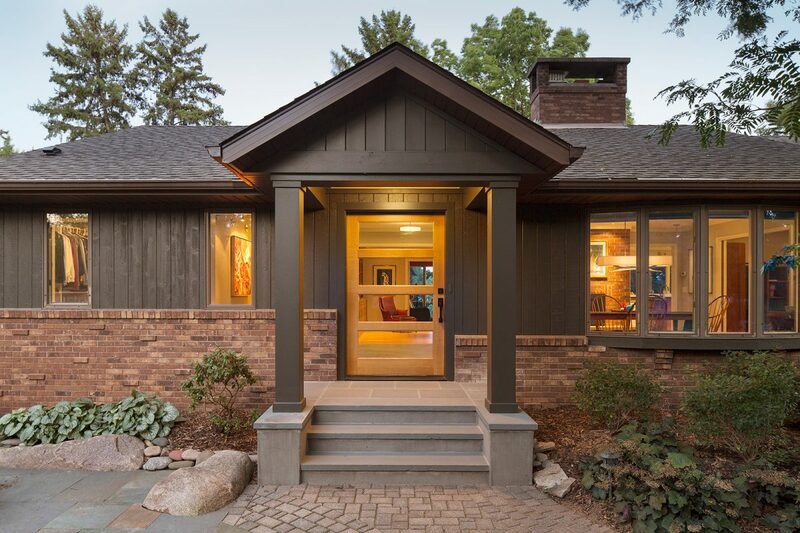 Views of the lake were better from their existing house, the congested floor plan could be successfully opened up, and the basement didn’t need much work. 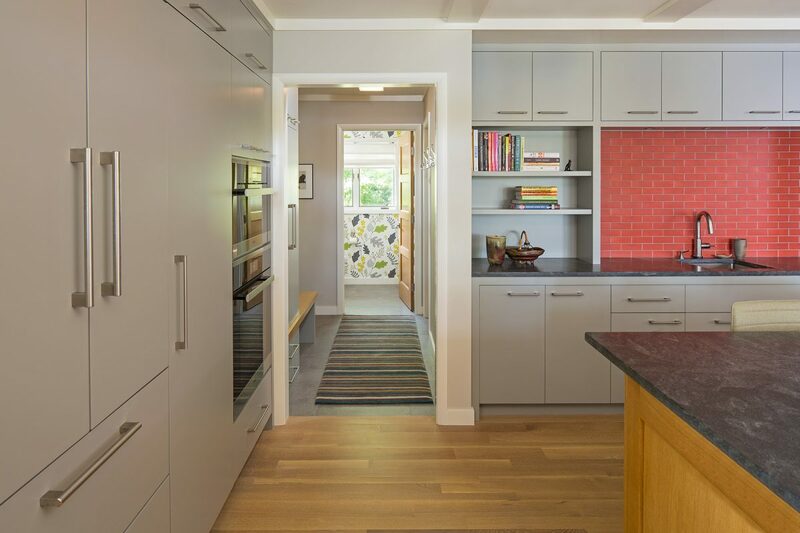 The resulting design dramatically transformed the once-dark, cramped house. 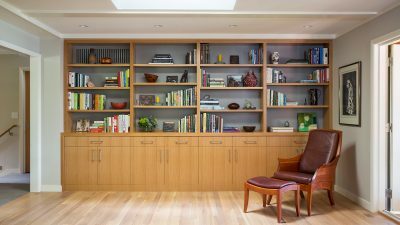 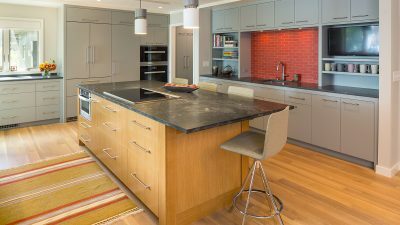 The kitchen was opened up and larger windows were added, the dining room was relocated to take advantage of a bay window and fireplace, and a sleek bookcase was built into the living room wall. 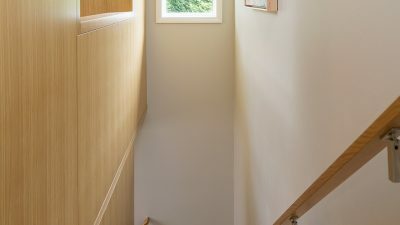 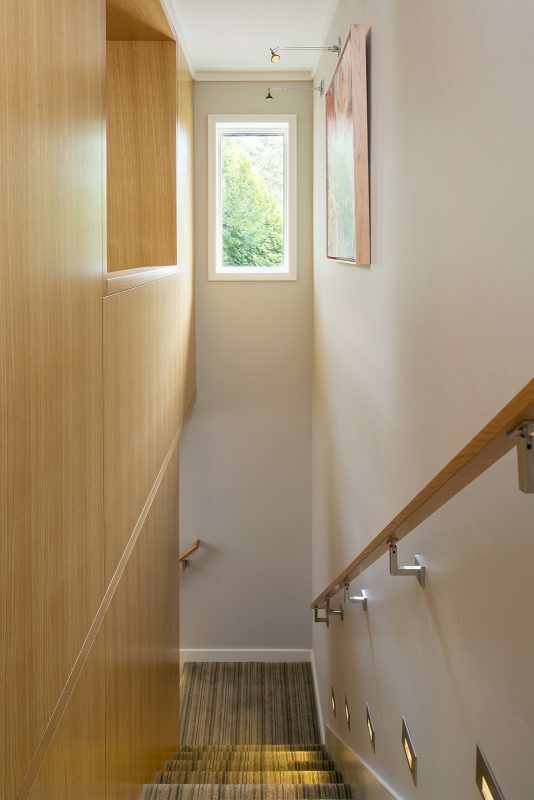 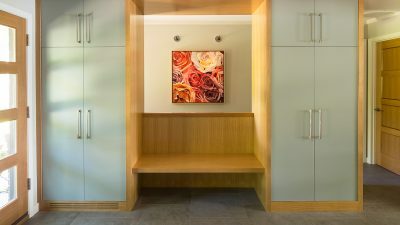 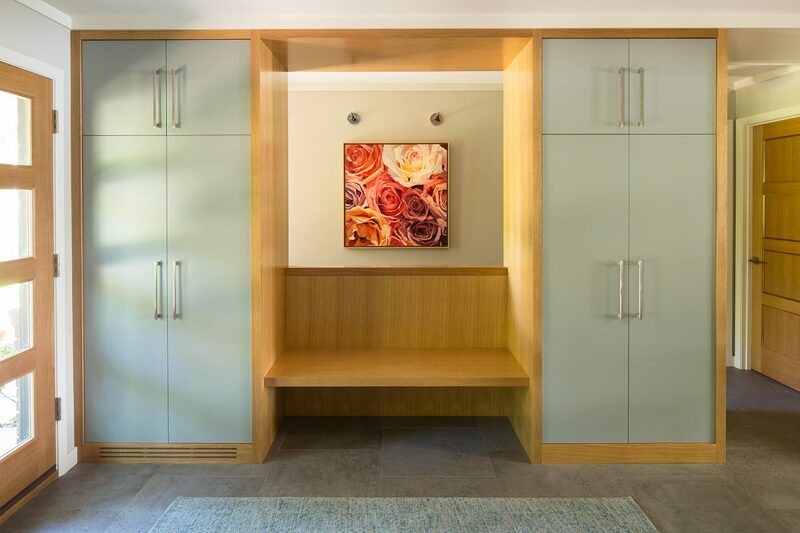 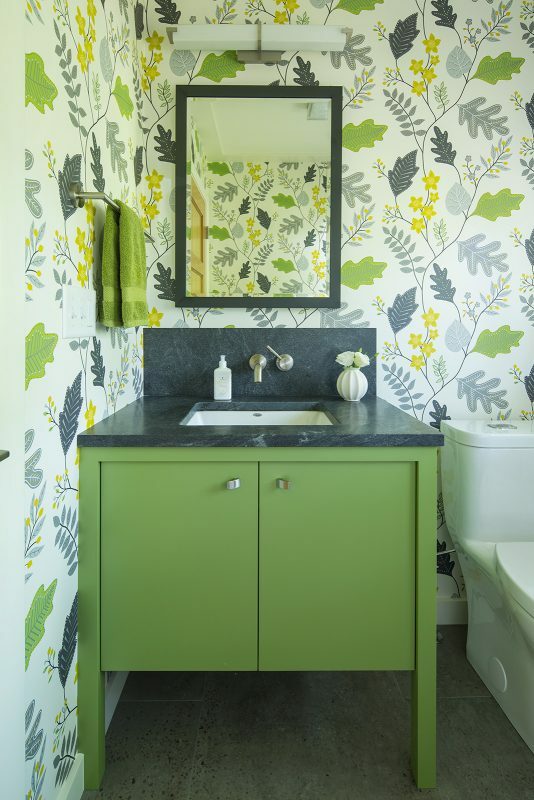 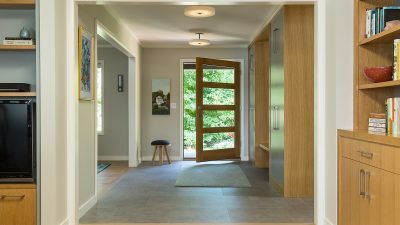 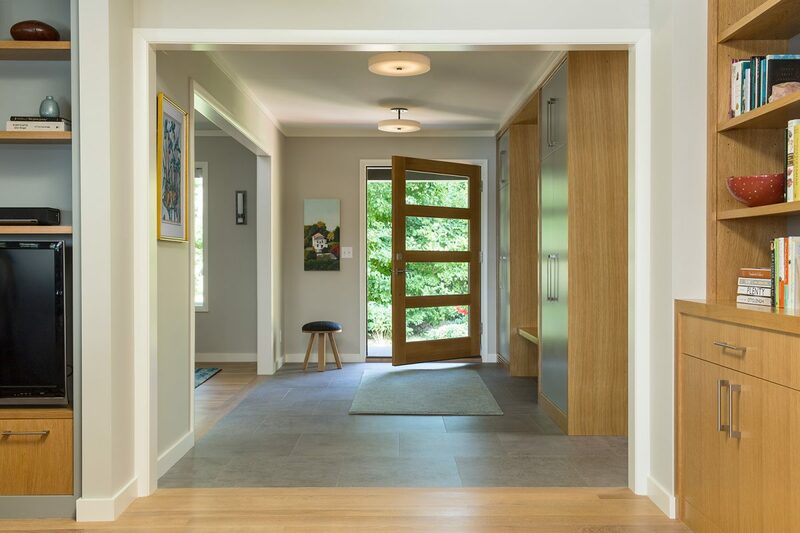 A new study, entry and mudroom increased the home’s functionality. 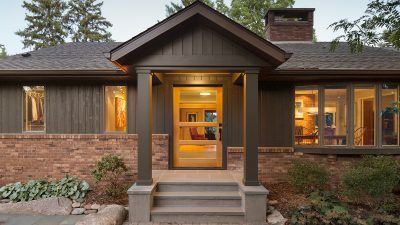 The exterior was updated with a new front canopy and steps, wide four-panel door, glass garage door, and fresh coat of paint.